Further simplification of a Runnable lambda. New StringBuilder method reference - why does this not compile? What exactly is stream reduction? What does return really mean in Java? 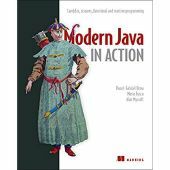 Modern Java in Action: refactor a legacy app? Modern Java in Action: video lessons? Modern Java in Action: Source code available online?